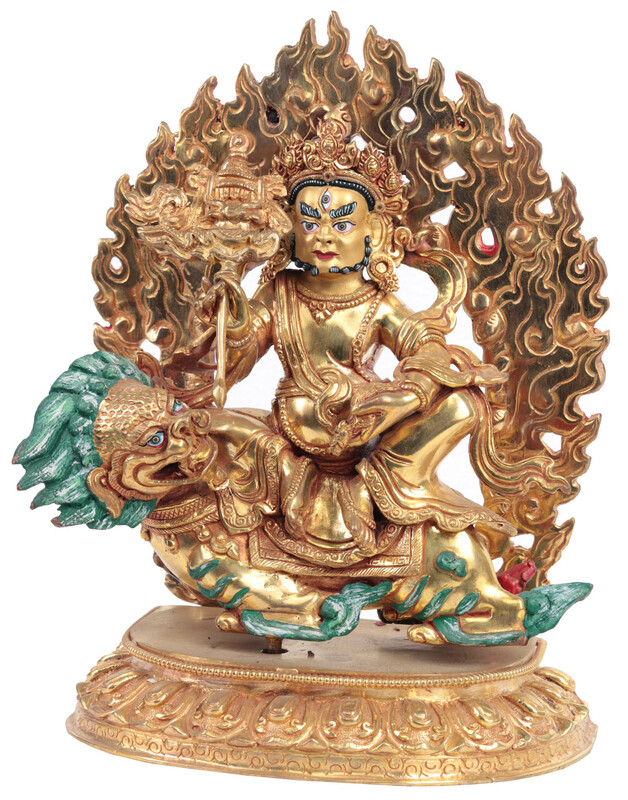 This fiery deity of Tibetan Buddhism is the God of natural resources and riches. From mountains and minerals to jewels and rich, fertile soils, Kubera lords over them all. Sculpted paintstakingly from copper afore an awe-inspiring aureole, Lord Kubera is portrayed as riding across the three realms of existence atop a Tibetan snow lion.